My family has had connections with Hawaii thanks to the US Navy. They like to go back to visit when it's winter Stateside! I found this fabric, Matisse's Seaweed, designed by Jeni, who is jenimp, lellobird Design and Illustration on Spoonflower.com. 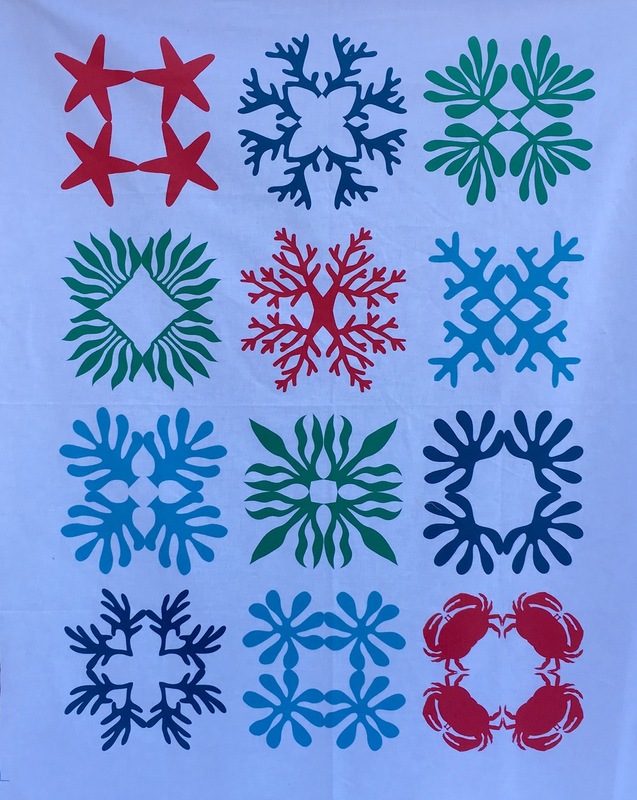 Jeni states she designed this cheater fabric "to look like a traditional Hawaiian quilt as interpreted by Henri Matisse". This is a yard of fabric. It could be used to make a small "cheater" quilt without any piecing. I'm going to cut out the printed blocks which measure about 9 1/2" square and make a slightly larger quilt by adding some fabrics printed in Hawaii that a friend brought me as thank you for cat sitting. 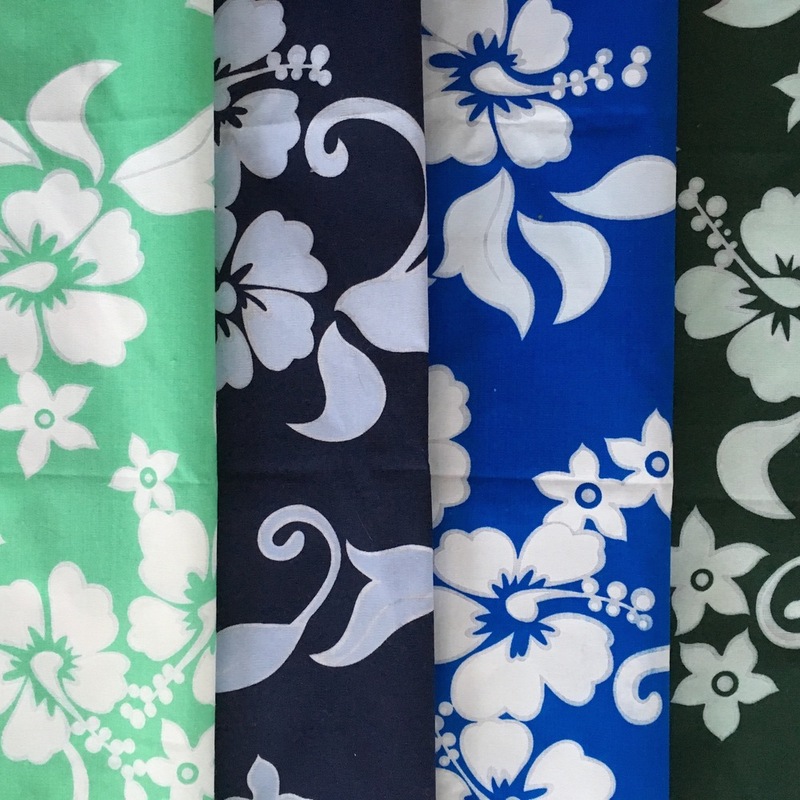 When I purchased the fabric from Spoonflower.com, I choose to print it on Kona® cotton. This print has a white background. It looks light blue in the photo at the top--an artifact due to taking the photo on a winter morning in New England! I have some 10 inch layer cake Kona® white squares. I plan to make seven 4 patch square blocks using them and the the fabrics from Hawaii. That should be easy using the 10" layer cake squares which I scatter between the printed blocks. Sewing the beach!! What could be better? It already feels warmer in here on this March day in Boston! !